The AAL Programme has commissioned Technopolis Group to support the setup of a new AAL Market Observatory. The project will run until December 2018 and will provide a review of trends and perspectives in the field of AAL, annual reports on market and investment information, and a searchable database of relevant technologies. In addition, four Investors’ events will be organised where product and service providers from the AAL programmes will have the opportunity to meet potential investors and discuss business opportunities. It is hoped that such engagement events will ultimately lead to enhanced knowledge exchange and identify investment opportunities. 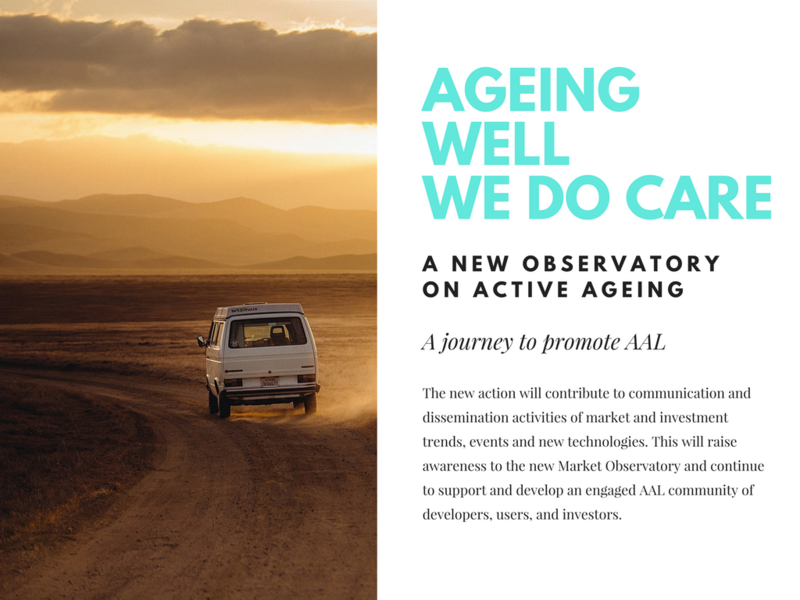 The new action will complement the current AAL project “ActiveAdvice” that is developing an advisory and decision support framework for assisted technologies. The new searchable electronic database on AAL technologies will be implemented and hosted on a common website. A standard taxonomy and definitions of AAL sectors are envisaged across the advisory service and technology database. It is also foreseen that the online platform will become a trusted reference site and continue to provide services to the community after the end of the project lifetime. Therefore a financial sustainability plan will be developed so that the Market Observatory remains the source of relevant and updated information in future. The new action will contribute to communication and dissemination activities of market and investment trends, events and new technologies. This will raise awareness to the new Market Observatory and continue to support and develop an engaged AAL community of developers, users, and investors. Technopolis Group is an international policy research and consulting organisation. It works for regional, national, EU and trans-national organisations with a public purpose in mind when delivering services. Technopolis has ample experience with strategic support at any point in the policy cycle; from prospective analyses, including design and piloting of new programmes, through comparative analyses of research and innovation systems, to evaluation of policies and programmes focusing on the scientific, economic, and societal impacts. For more information on our activities and public reports, please visit our website at www.technopolis-group.com/expertise/health-wellbeing.